Is that box of records in your basement hiding a fortune? 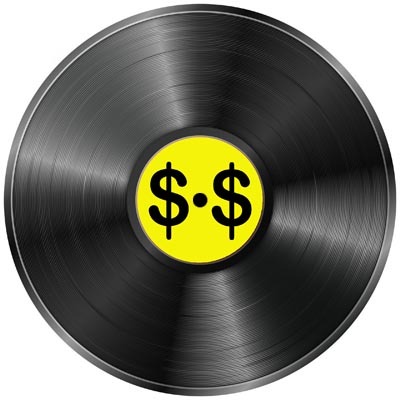 We have just published an article about the most valuable vinyl records. You can read it here. Unless you’ve been living on another planet, you’ll know that rock/R&B musician Prince passed away on April 21, 2016. While he had been ill, his death was unexpected, and it caught the world by surprise, as it always does when a respected musician who isn’t particularly old passes away unexpectedly. We’ve noticed in the past that when musicians pass away, there’s an increase in interest in their music, but occasionally, that interest takes on a life of its own. Out of curiosity, when we first heard the news of Prince’s death, we went to eBay to see how many Prince records were currently for sale. At that time, there were some 8500 records, either singles or albums, for sale by Prince. We checked again an hour later, and there were only 7400 Prince records for sale. In the 60 minutes in between, more than 1000 Prince records had been sold on the site. As we write this, some 24 hours after the announcement of his passing, there are now 11,288 Prince records for sale, which suggests that the opportunity seekers have been clearing out their shelves to list items for sale as quickly as possible. Sales remain brisk, with some 3000 items sold within the past 24 hours by Prince alone. What’s interesting, however, is that those 11,000+ listings, for the most part, don’t include a lot of ultra-rare items. There are a few listed, of course, but the majority of listings consist of relatively common items that were likely to have gone unsold just a week ago, now listed with sky-high prices. How has Prince’s death affected the prices of his records? About an hour before the announcement, an original sealed copy of his 1984 Purple Rain LP sold for $29.99. That’s not surprising, Purple Rain sold well and even sealed copies aren’t particularly rare. Three hours later, however, another sealed copy sold for $499. Two hours after that, another sealed copy sold for $999. There is now a copy listed for sale for $5000. Postage is extra. It’s expected that there will be some extra interest in an artist’s music when they pass away, and one usually sees a bit of a spike in prices, particularly on the rarer items. Sometimes, however, when an artist is particularly popular, we see an unusual spike in prices for items that aren’t particularly rare. When Michael Jackson died in 2009, used copies of his 1982 album Thriller started selling for $750-$1000, and sealed copies were selling for as much as $2000. That’s pretty amazing when you consider that Thriller is the biggest-selling album of all time. There is literally no album on Earth that is as “not rare” as Thriller. Not with 40 million copies sold. Yet people were paying $2000 for copies of that not-at-all-rare album, just as people are now paying upwards of $1000 for sealed copies of the not-overly-rare Purple Rain. David Bowie died last January and his new album Blackstar had just been released three days prior to his death. There was a special edition of Blackstar that was pressed on clear vinyl in a limited edition of 5000 copies, which were sold only via two outlets – David Bowie’s own Website, where the purchase of the album included three lithographs, and the Barnes and Noble bookstore chain. The day before Bowie’s death, sealed copies of that clear vinyl album were selling for about $50 on eBay. The next day, they were selling for $600, and the copies with the lithographs were selling for as much as $1300. Three months later, the prices have come down a bit, with clear copies now selling for $200-$300 and the copies with the lithographs selling for $300-$400. This was a limited edition, but these days, 5000 copies of anything is a relatively large pressing. 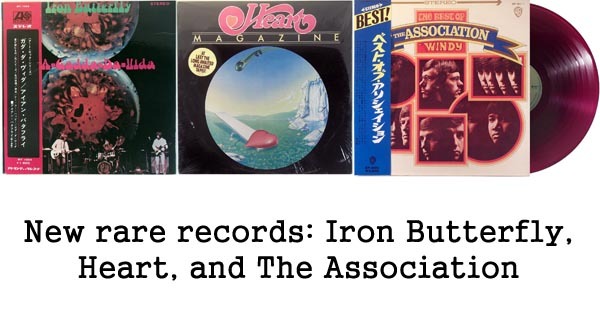 Interest remains strong with David Bowie, however, and in the past month, several of his records that are genuinely rare, such as unusual Japanese LPs and odd UK test pressings, have sold for more than $10,000. The prices for the more common items have come back to Earth, however. So, what’s driving these prices? 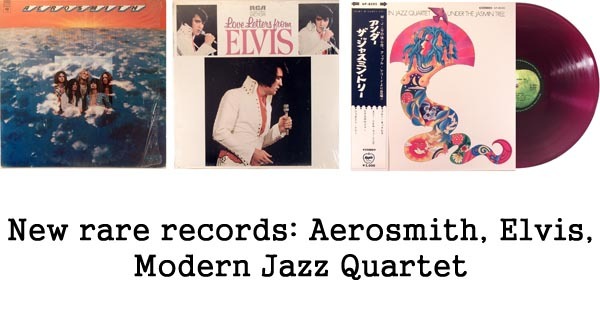 Why are prices for records that rare going into the stratosphere when a famous musician dies? It’s worth pointing out that this doesn’t happen for everyone. Merle Haggard recently passed away, and he was one of the most successful artists in music history, with 38 #1 singles. Sales of his records surged a bit after his death, but there wasn’t much change in the prices of his records. For artists such as Prince, David Bowie and Michael Jackson, a lot of what’s driving the prices seems to be interest from people who, as a rule, are not buyers of records. They’re people who aren’t record collectors, but are people who liked that artists music and found it to resonate with them in a personal way. They then discover that this artist they admire has died and they want to buy some of their records, but they have no idea how much those records should cost. It doesn’t take many people like that, especially in an auction environment, to drive prices to insane levels. At that point, opportunistic sellers take notice of the high auction prices and start to list items for sale at prices that are significantly higher than normal, simply to take advantage of the spike in the market. After a while, the entire market goes insane. This is great for sellers, but bad for casual buyers and even worse for collectors. If you’re a long-time Prince collector, you’re not going to find anything affordable anywhere anytime soon. Every seller of records will be taking advantage of the current crazy market and they’ll ride that until it eventually dies down. It will die down. There are only so many non-collectors who are willing to shell out $1000+ for common records, and eventually, they’ll all find what they’re looking for and they’ll stop buying, because they’re not really record buyers. Eventually, for the most part, the prices will return to normal. How long that takes depends on the artist, and the items themselves. Some rare items may sell for higher-than-normal prices for a year or more, while the more common items will return to previous prices pretty quickly. Are we sure that prices for Prince records will eventually come down? Yes. Remember those sealed copies of Thriller that sold for $2000 back in 2009 right after Michael Jackson died? You can buy that record on eBay for about $30 today.